Greetings! It’s been a busy few months here at Reper. 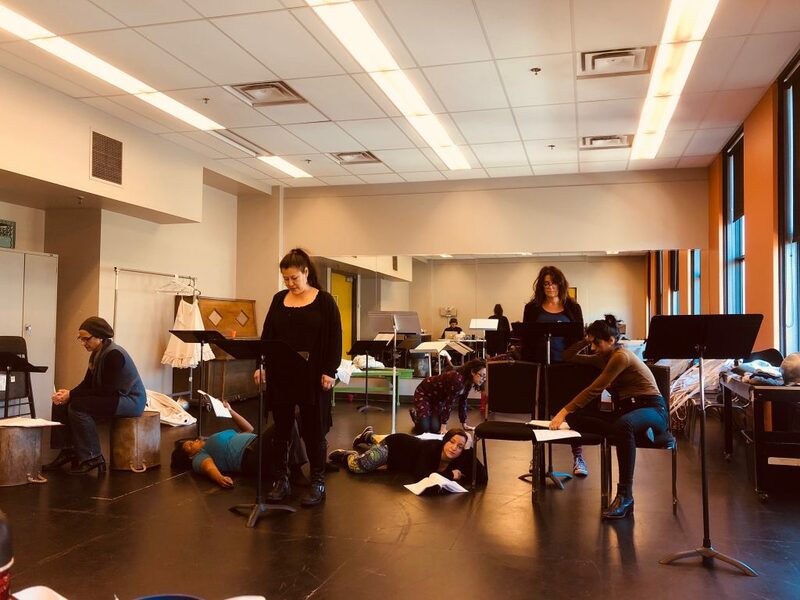 After rehearsing, performing, and touring Romeo and Juliet: Love is Love, we took a deep breath in August, only to jump right back in this fall with our Words with Will Reading Series, happening this week! We are excited and honored (and a bit starstruck!) to have worked so closely with Erin Shields and Jeff Ho in developing and deepening their pieces. It’s been such a gift, to have been able to witness and participate in two very different rooms, as two very different plays evolve: Thy Woman’s Weeds by Erin Shields and Cockroach by Jeff Ho. I’m coming out of the development phase having asked a lot of questions, learned a ton, and felt pretty much every feeling in my arsenal. And I’m finding, upon reflection, that these two pieces are touching upon the same conversation, in wildly different ways. What are the realities and expectations that come from working on Shakespeare? In the work, we’re finding the joy, the freedom, the emotional ka-plunk of Shakespeare’s poetry dropping into your gut. We also found the darkness. The feelings of inequality, inadequacy, disillusionment… the feeling of being lost. While Shakespeare’s words themselves speak so clearly to our hearts, the actualities of production can be deeply alienating, especially as a female-bodied person or a person of colour. 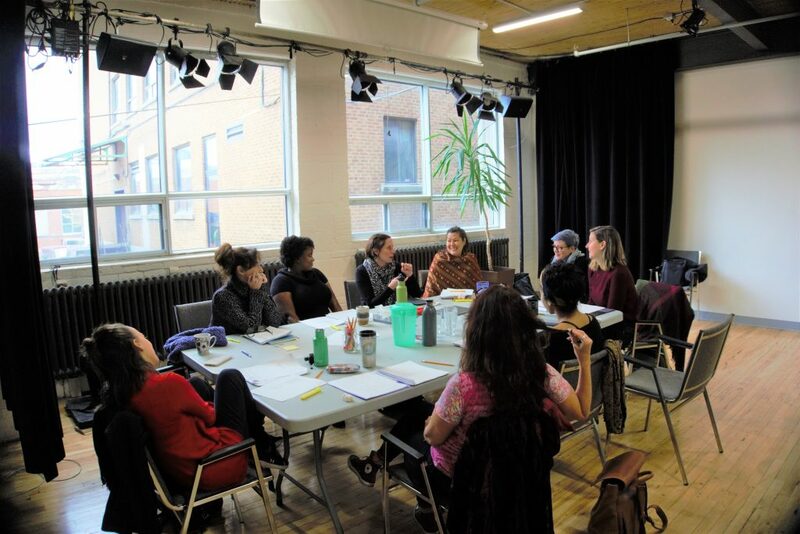 In these workshops, we were able to have the conversations that can be frustratingly absent or overlooked in the theatre world. And further, we made something with it. We took a deep hard look at the ways producing (and re-producing) Shakespeare can often be violent. So many relationships with Shakespeare feature the same threads, as we force ourselves into types, or erase our accents. We uncovered a disconcerting belief we’ve been secretly grappling with: Without a strong grasp of Shakespeare in your pocket, you won’t be going anywhere fast in this business. So get used to it. Erin and Jeff have bravely led this team into vulnerable, messy, and human sites of discovery. Thy Woman’s Weeds features a brilliant cast of women who, through laughter, rage, and bardsong, create a vision of a future theatre that warms, brightens. A boy, a cockroach and The Bard spins and weaves the voices of Shakespeare, linguistic violence, and human vulnerability into a choir of multidimensional personhood, all spilling from one man’s lips. 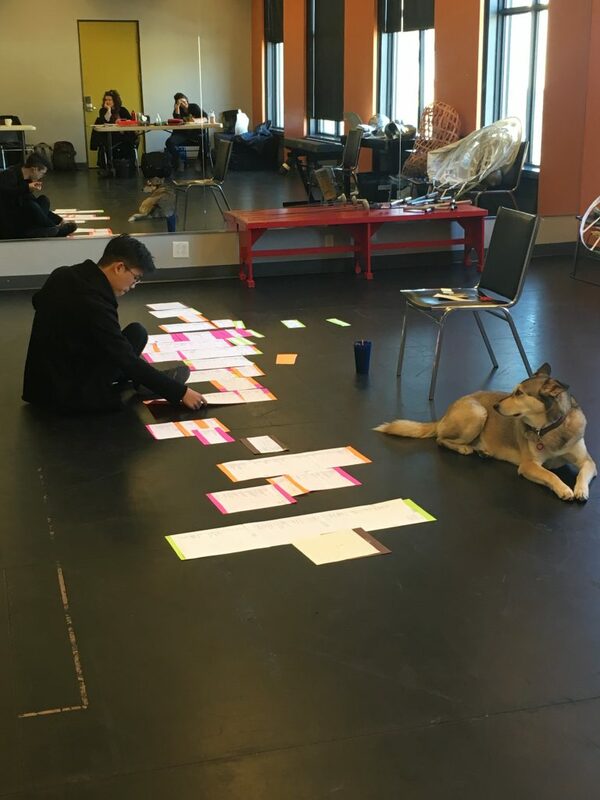 Using Shakespeare as a vessel, these creators and collaborators have located starting points for the deeper conversations that we, as theatremakers and theatregoers, need to have in order to transform our industry, our art, and ourselves, for the future. This is not an event to be missed. Each reading will feature a talkback afterwards, with the creators and developers. Make sure to reserve your tickets soon, space is limited, and this conversation has staying power. Hear Jeff, Erin, and our team raise their voices. Listen. Then join in. Let’s get started, together.